Astana agreed to lower tariffs and it looks like the EEU may have to fall in line as well. It took nearly 20 years, but this week the World Trade Organization (WTO) formally approved Kazakhstan’s membership. 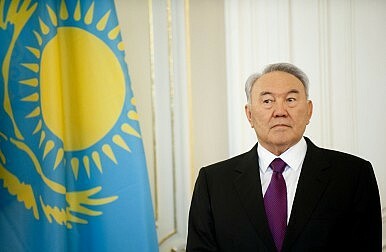 Uniquely, Kazakhstan’s commitments will also bind Eurasian Economic Union members. They Kazakh parliament has until the end of October to ratify the agreement and there’s no indication it won’t do so. Kazakhstan has long been Central Asia’s dominant economy—with a GDP of over $230 billion—its membership in the global organization that regulates international trade makes sense. A unique aspect of Kazakhstan’s rules commitments is the extent of accession specific commitments “accepted” by Kazakhstan, which shall be applicable to and bind the EAEU and its member States on matters falling under the competence of the EAEU. There are 23 commitments which contain measures to be undertaken by “Kazakhstan and/or the competent bodies of the EAEU”. Russia, which acceded to the WTO in 2012, previously held the record for longest membership negotiations–19 years, 2 months and is the subject of sanctions from the West relating to Moscow’s adventurism in Ukraine. Russia also leads, for all intents and purposes, the EEU. It seems that EEU policies, whenever those are delineated, will need to fit inside the WTO rules. Kazakh President Nursultan Nazarbayev used his remarks at the ceremony Monday to highlight Kazakhstan’s progress and ambitions. Kazakh’s economy, he said “has become more robust and open,” its GDP has experienced an 18-fold increase and the country does business with 185 states around the world. Nazarbayev says “the European Union countries are the main economic partners” for the country, accounting for 40 percent of trade. He then notes that structurally, Kazakhstan’s economy has evolved and that country has significantly enhanced its capacity for investment. Regionally, only Turkmenistan and Uzbekistan still remain outside the WTO. After 20 years, the region’s biggest economy is set to join the World Trade Organization.